The Arcade Gacha is almost here and Fancy Decor have pulled out all the stops on their amazing decor set for this round. There are 19 items in total in this Ramses decor set with 3 RARES. 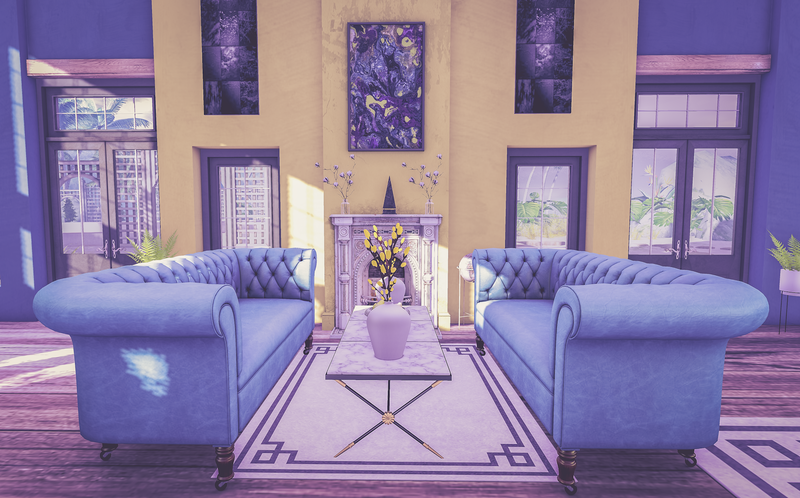 The Sofa and Armchair RARES come with a colour change hud with 4 colour options so you can mix and match if you get more than one chair. I’ve used the armchairs as dining chairs all as they are versatile and look amazing in either setting. 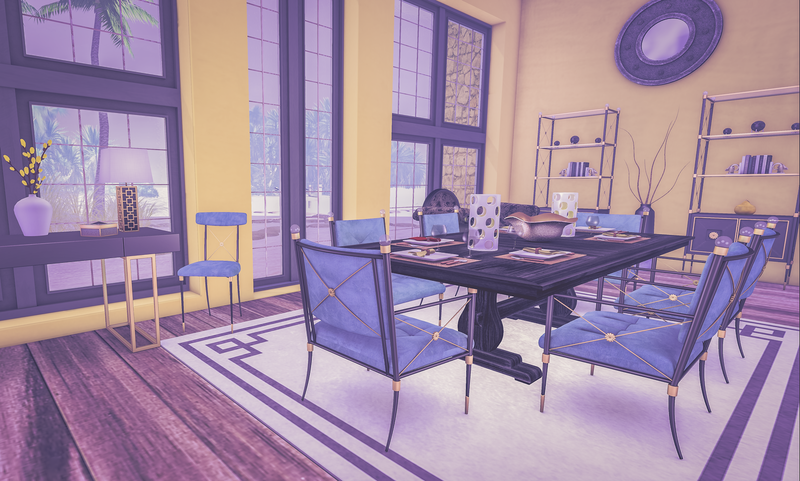 The great thing about this set is the variety of items that all work so well together and with other items…from small decorative orbs and obelisks, to the rug and lamps through to the larger items like the console table and shelf (which is also a RARE). The Arcade opens 1st September and you can grab the other items featured from the Fancy Decor mainstore.